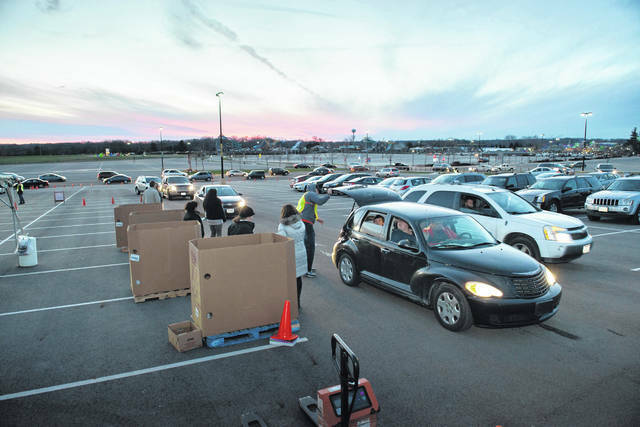 The Columbus Zoo and Aquarium, Kroger and Mid-Ohio Foodbank are shining a light on hunger this holiday season during the annual Stuff the Truck food drive. Each zoo guest who donates five cans of nonperishable food on Friday, Nov. 16 between 10 a.m. and 10 p.m. will receive one free ticket to Wildlights, as well as free zoo parking. All the donated food will support Mid-Ohio Foodbank and its network of food pantries. While the Wildlights festivities don’t begin until 5 p.m., guests are encouraged to arrive early. Visitors can drop off their donations at the large Mid-Ohio Foodbank trucks located in the main parking lot of the Zoo, to the northeast and northwest of the main entrance. Additional collection bins staffed by volunteers will be positioned along the spine of the parking lot. The Foodbank asks visitors to bring any non-perishable donations to the drive, including peanut butter, canned meats, canned fruits and vegetables, soups and chili. There is no limit to the number of admission tickets per family as long as each family member donates five food items, and a donation is not required for children aged 3 and under. The zoo remains open to visitors until 10 p.m.